Doctors beyond training – Developing leadership and management skills. In order to develop your leadership and management skills you must first understand your personality preferences and how these help and hinder your leadership practice. We will use the Myers Briggs Type Indicator (MBTI) and John Adair’s Action Centered Leadership model to explore how individuals perform and what they need to do to develop further. September 24th 7pm to 9.30pm at the RCGP offices at the Leicester General. This session will be fun and interactive and we will be joined by Dr Liz Allen (salaried GP) of Park Avenue Medical Centre, Northampton who will share the experience of her first 2.5 years of independent practice and developing leadership style. Participants who attended the ‘Practical Tips for Managing your first years out of training’ 20th March 2014 will be able to use that learning and progress their development with this session. Designed specifically for First5 members. Locum, Salaried, Partnered or ST3 welcome. 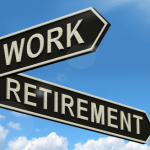 How can Doctors make the transition to retirement smoothly? I recently ran an evening session for the Leicester Faculty of the RCGP for GPs on the cusp of retiring. Thought it would be useful to post some of the information we used here and see what other ideas people have about retiring. Feel free to post at the bottom. The two most important aspects of the session were understanding the emotions connected with retiring and putting together a plan for the change. Feelings of guilt, loss and grief at leaving the practice. Uncertainty about plans, options and what else they could do. Fatigue re; current workload, ability to ease off or move to part time. Managing other’s expectations – partners at work, home and patients. The structure we used to understand the process surrounding this significant change is the Bridges Transition Model. This model helps guide people through change and is different to the Change Curve. The point being that the change itself is not what people are mostly dealing with; it’s their internal response to the change. As the images shows, different people (orange arrows) will travel through the transition at different speeds and will stay in the zones for different periods of time. Attendees found this a useful way of understanding where they are currently with their feelings about retirement and it legitimized those emotions. The general discussion and one to one Thinking Pairs was a great way for people to share their plans and ideas. Hearing others and talking through ideas helped sharpen objectives. When is your change date? 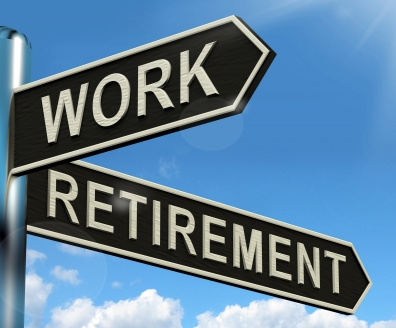 What is your vision, desired rewards of retirement? Where are you in the Transition Model? What do you need to start doing now? What do you need to leave behind / stop doing? Planning ahead can never start too early for retirement it seems. That’s obviously true for the finances, but is also equally true for the lifestyle decisions. Setting your pace, activities, timings, managing relationships and how you may still want to contribute are crucial to how successful your retirement will be.